Groups and Differentials There are 6 products. 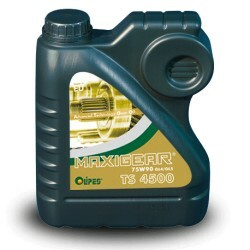 Maxigear TS 4500 is a fully synthetic MTF SAE 75W90 type transmission fluid for manual gearboxes, transfer boxes and non-self-locking differentials. 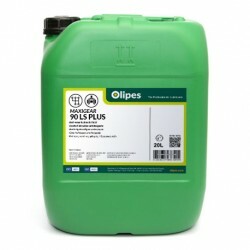 Maxigear 90 LS Plus is a MTF SAE 90 EP transmission fluid formulated with state-of-the-art LS additives with maximum shear strength and selected mineral bases with high thermal stability for use in synchronised and non-synchronised manual gearboxes. 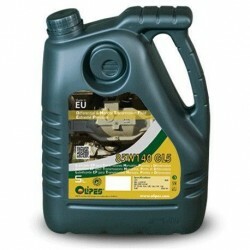 Maxigear 90 FS GL4 is a UTTO-type lubricant oil specially developed to solve the problem of brake noise in tractors and public works machinery. Maxigear 90 LS GL5 is a SAE 90 lubricant formulated with selected bases and a specific additive system for use in limited slip gears. Maxigear 85W140 LS (GL5) is a multigrade lubricant specially designed for the lubrication of high performance gears subjected to high loads. Formulated with mineral bases and state-of-the-art additives with Limited Slip (LS) properties.